Although called the Laser Quiz it’s actually for anyone who enjoys giving their grey cells a workout and relishes some competition. 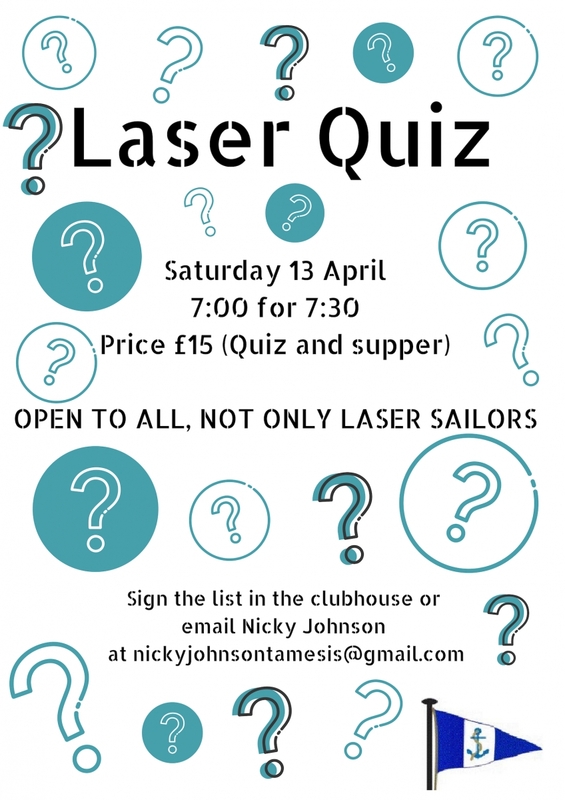 It would be good to have some complete tables of around 8 people from each of the sailing classes plus the bridge group but anyone else is welcome who likes an entertaining and fun night out. Prizes will be awarded to the winning table!